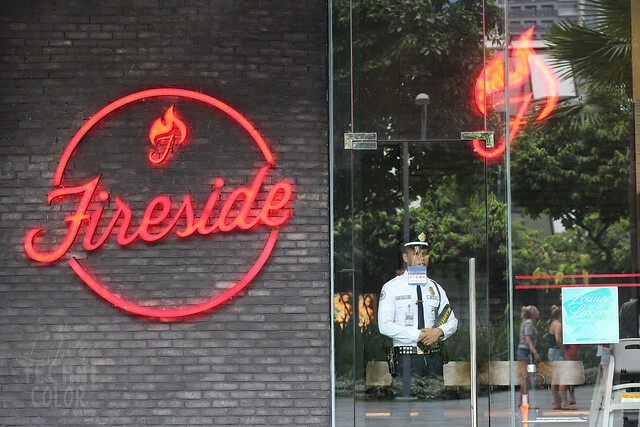 My first time at Fireside in Central Square, Bonifacio High Street! They say "friends who love to eat are the best people" and I honestly couldn't agree more. I've found that I get along best with my foodie friends.. 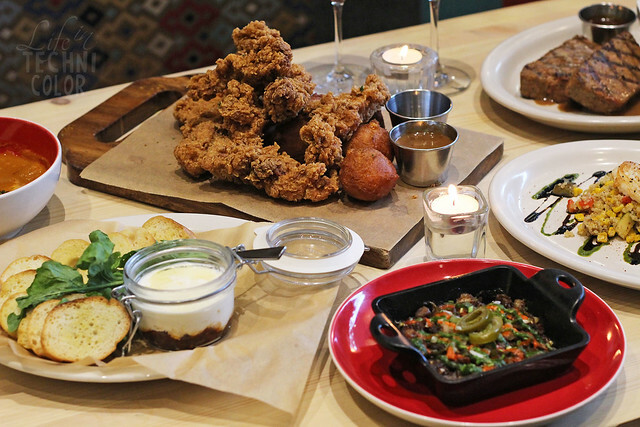 I dunno, there's just something about being able to bond over great food. Well, that, plus the fact that my tummy works in mysterious ways (for some reason, I am always hungry), so it's always awesome to have friends who love eating as much as I do. So one time, Richie brought Cess and me to Fireside at Bonifacio High Street. 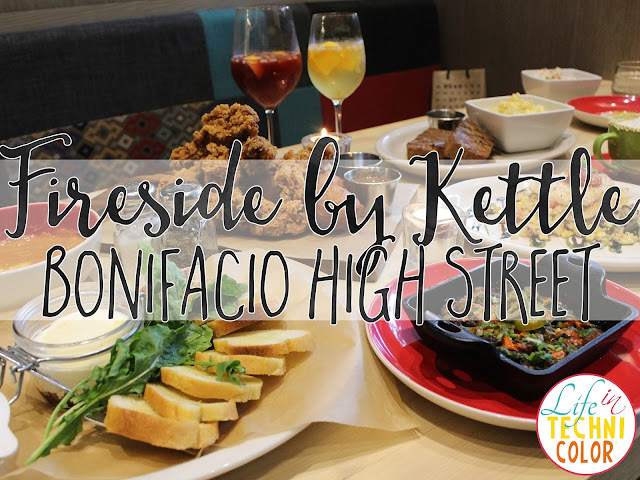 There, we got to try Chef Chiloy Santos' bestsellers like the Brisket Sisig, Buttermilk Fried Chicken Fingers, and 50/50 Meatloaf. For those who don't know, he's also the man behind Tender Bob's and Kettle - so even though it was my first time at Fireside, I already knew I was in for a treat! 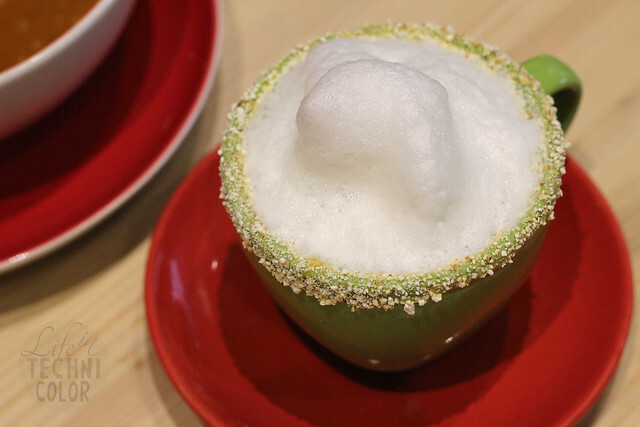 For starters, we tried the Sweet Corn Cappuccino (P129). 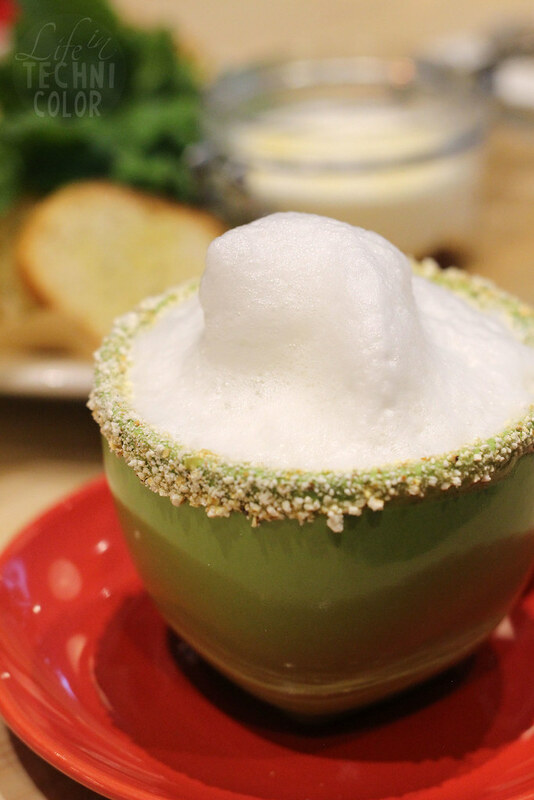 It's this beautiful sweet corn and lemongrass soup in a cup, served with milk foam and popcorn salt. I've never tried anything like it! I loved it so much that I stealthily placed it on my side of the table for easier access the rest of the meal. HAHA! Next we had the Grilled Tomato and Chorizo Soup (P249) as recommended by Chef Chiloy himself. 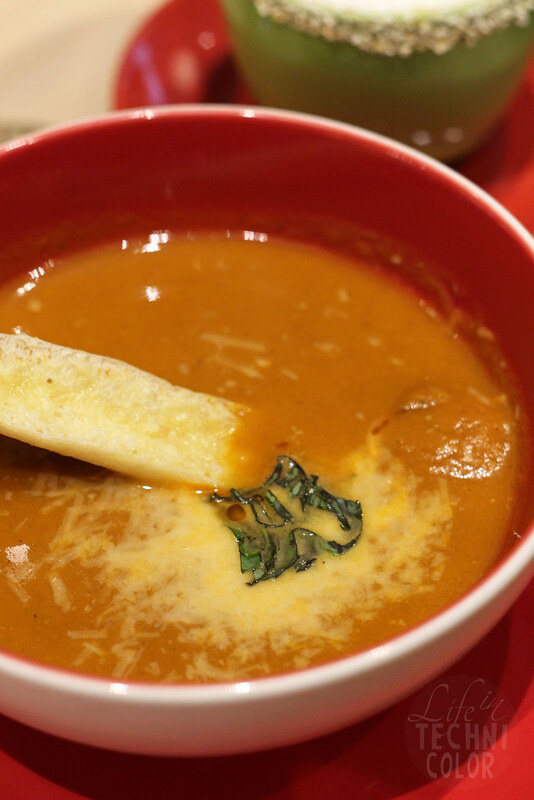 This one takes your regular tomato soup up a notch with the chorizo bits and cheddar parmesan bread. For the appetizers, we ordered two, the Mascarpone Cheesecake and Brisket Sisig. 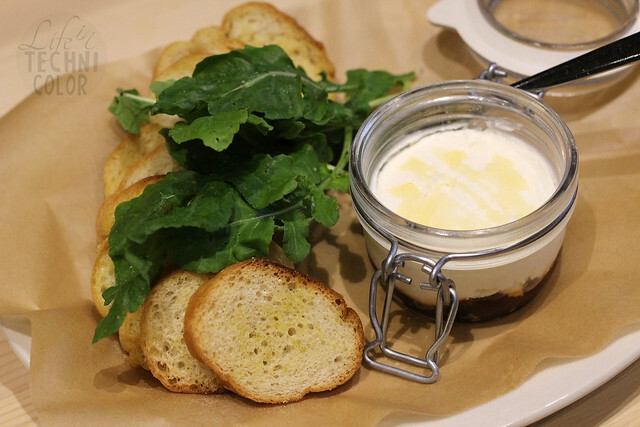 No, the Mascarpone Cheesecake (P359) is not a dessert, but a sweet and savory cheesecake dip with arugula, croutons, and sweet tomato jam. At first I thought it was kind of weird, having sweet tomato jam with cheesecake, but it works. 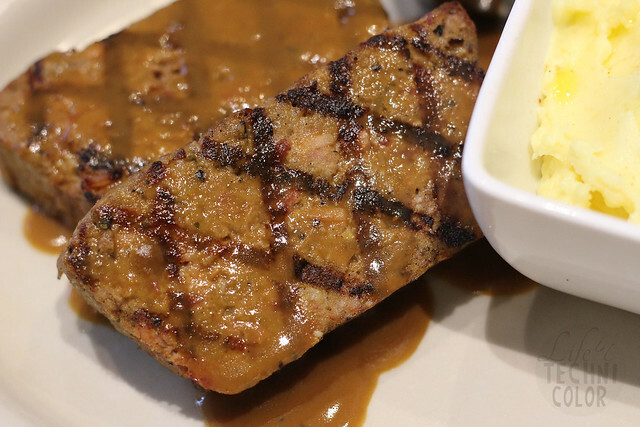 In fact, when the flavors combine in your mouth, you'll realize that they actually go together perfectly. 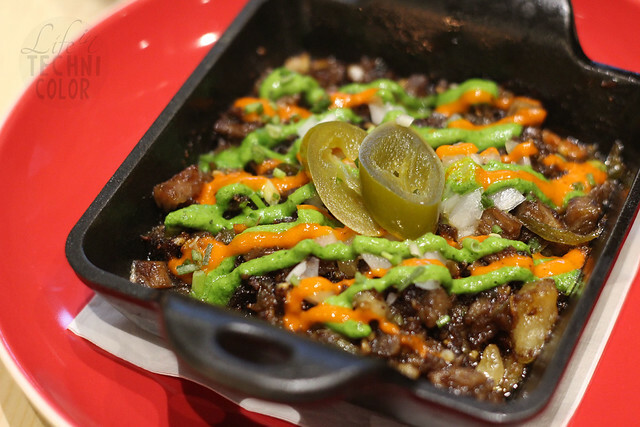 The Brisket Sisig (P299) is, in my opinion, one of the best versions of the Filipino bar chow classic. 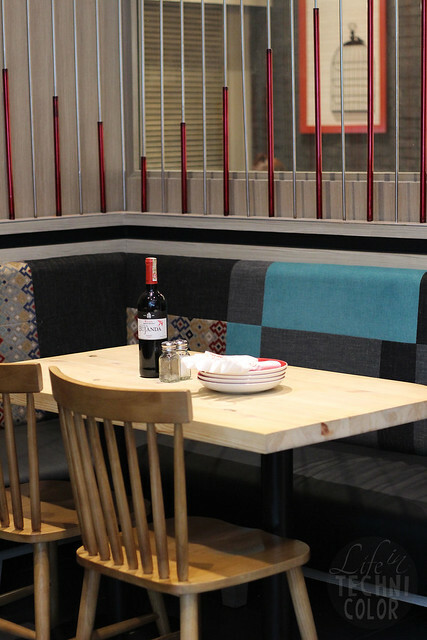 It's made with sautéed U.S. angus brisket chunks, onions, jalapeños, red pepper and green onion coulis. I suggest pairing it with garlic rice (and maybe some egg on the side) for a complete meal! 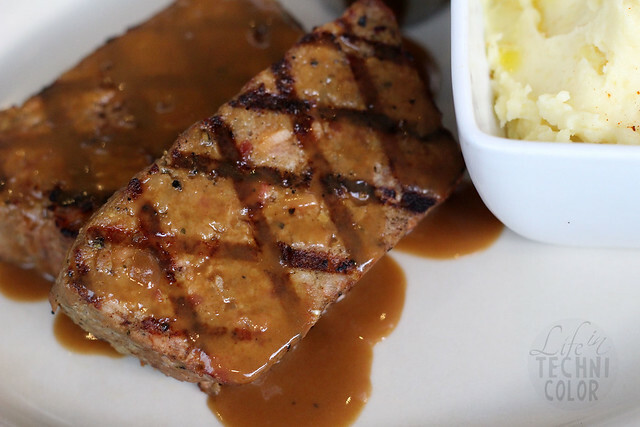 For the mains, Richie started us off with his favorite, the 50/50 Meatloaf (P409). I was like, "Meatloaf? What's so special about that?" Well, it turns out that this one's nothing like your ordinary meatloaf because it's made with 50% ground bacon and 50% ground angus beef. Typical Richie Zamora! The man definitely loves his meat! Finished off with some barbecue sauce and mashed potato, it's one of the things you definitely have to try at Fireside! 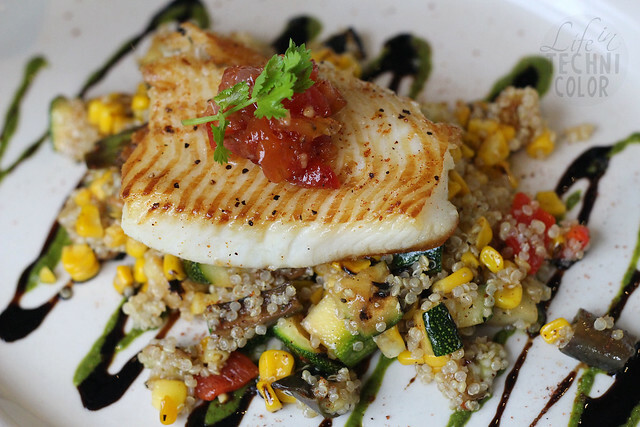 Now if you're looking for something light and healthy, the Grilled Halibut might just be the dish for you. 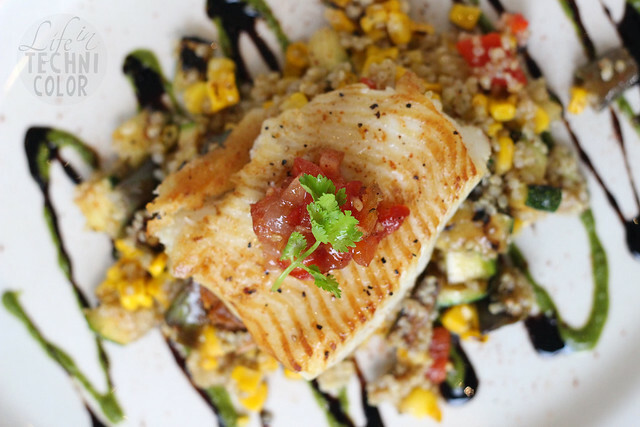 It is served with quinoa veggie salad and bacon vinaigrette, so there's still a little bit of meat in there, in case you don't want anything too healthy. 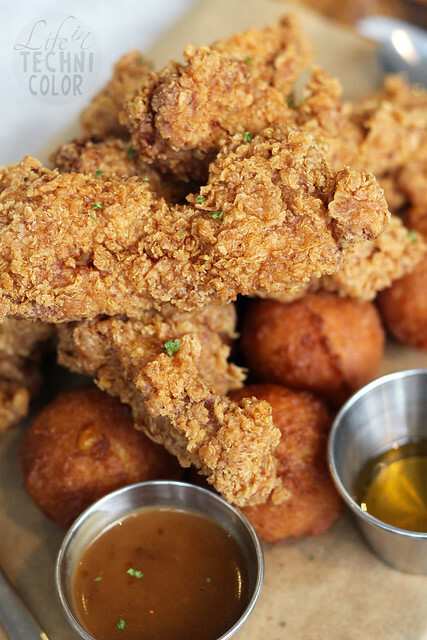 While Kettle has the Buttermilk Fried Chicken, Fireside has Buttermilk Fried Chicken Fingers! 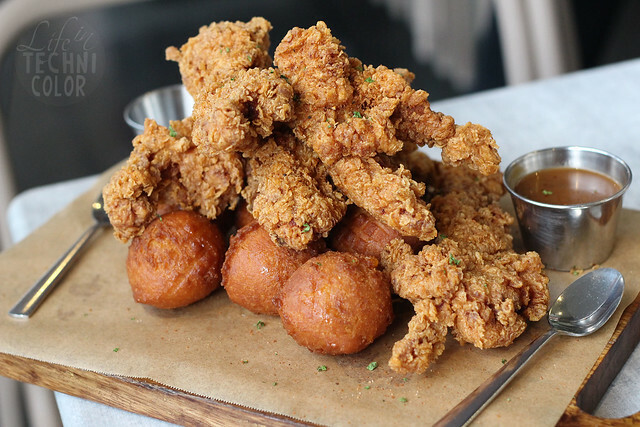 These 24-hour brined chicken fingers are coated in cajun ritz breading and served with cajun honey and gravy on the side. 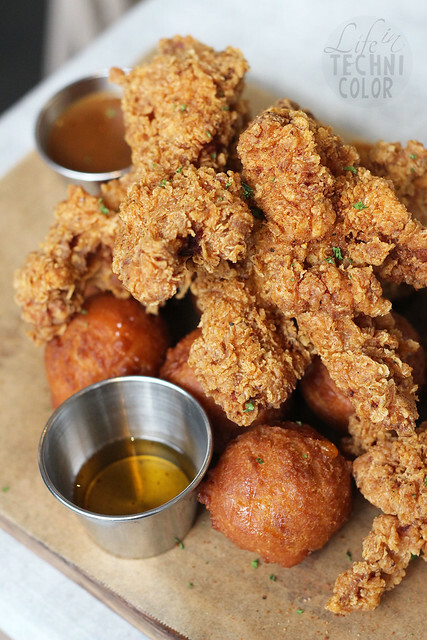 Don't miss out on the cornbread doughnuts - they are the bomb!! Finally, onto dessert! Since there were three of us, we figured we'd each pick one to try. 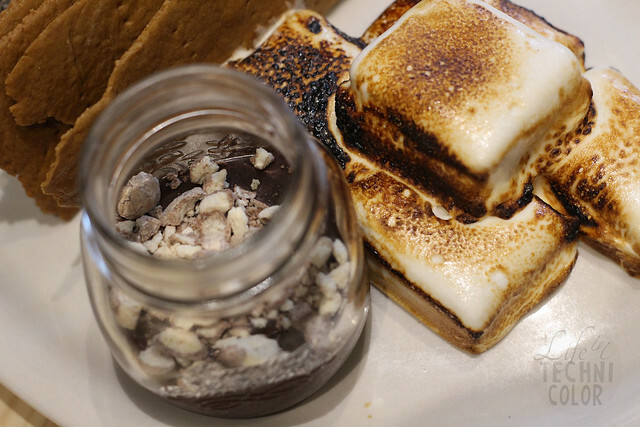 First up is the Homemade Smores (P189) which Cess picked. Now this is something you have to eat quick since the chocolate tends to harden if you take too long. 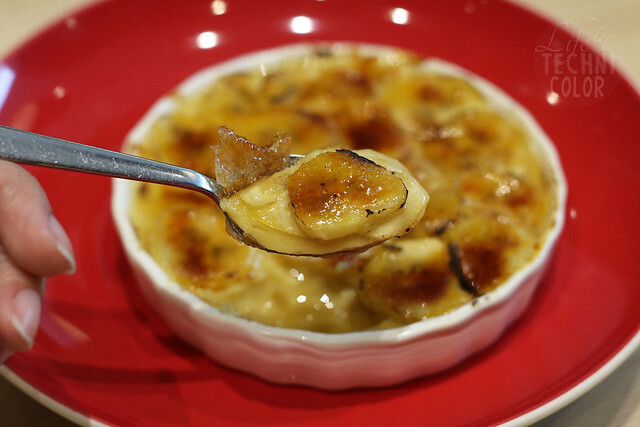 I went with the Banana Foster Creme Brulee (P189). It's light and not too sweet, which I like since it kind of balances out the other desserts we ordered. 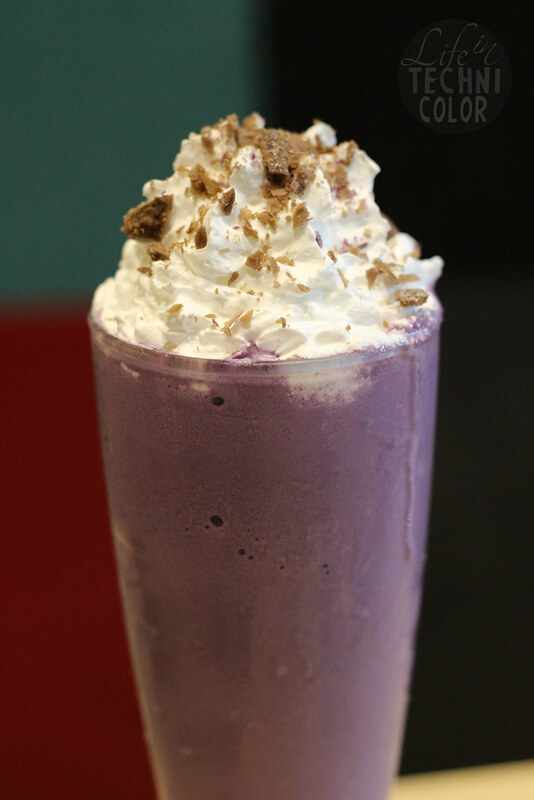 This thick and rich Ube Shake N' Bake is one amazing creation by Chef Chiloy! To be honest, I had my doubts about this since I'm not the biggest ube fan, but this was really great! Where else can you find an ube shake that consists of ube cake?? Topped off with a generous serving of whipped cream and chocolate sprinkles.. just heavenly! 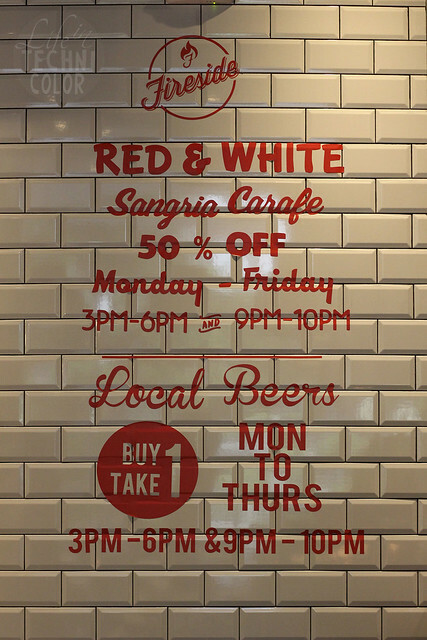 While you're here, check out their sangria carafe and local beers promo too! 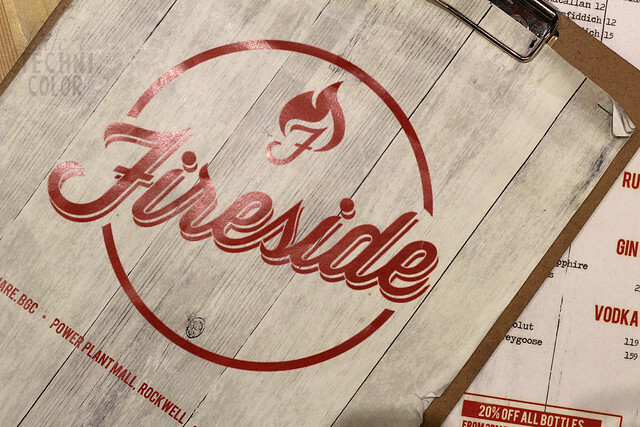 Fireside has branches in Megamall, Central Square, and Rockwell.